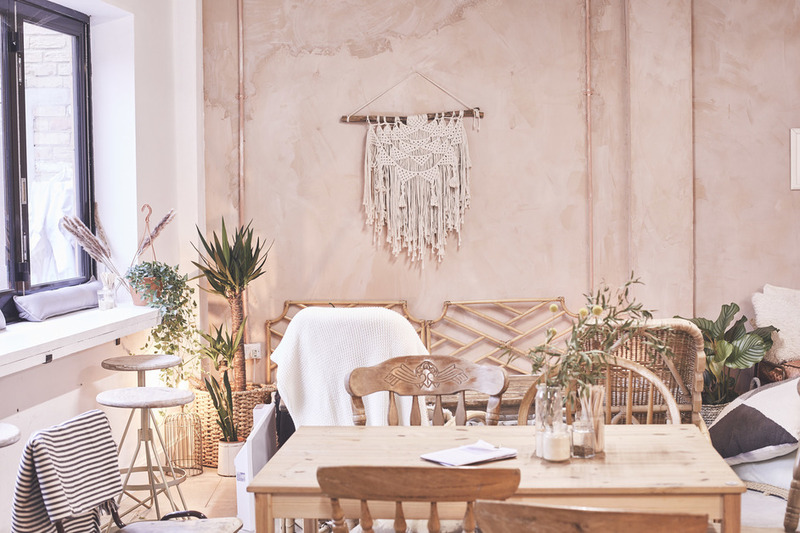 The duo behind Camden Market's hugely popular vegan bakery, Cupcakes and Shhht, Caitlyn Badham-Thornhill and Sophie Beale bring you WAVE cafe, short for 'We Are Vegan Everything'. Serving freakshakes, juice shots, kombucha on tap, superfood lattes and blue spirulina smoothie bowls, the cafe aims to defy the stereotypes that surround plant-based food. An enticing display of daily baked, fresh vegan gluten free and sugar free cakes, cheesecakes, brownies, stuffed croissants and cinnamon buns are best enjoyed with bulletproof coffee. Lunch options include vegan salmon and cream cheese, dill and watercress bagels and tofu scramble with tomatoes, smoked aubergine, rocket and mixed seeds on sourdough bread. The all day brunch menu lists choices of vegan eggs scrambled or fried, smoked maple tempeh pancakes, sausage rolls and more. These healthy dishes can be taken away or eaten in the cafe, beautifully decorated with bamboo chaise lounge seats, day beds and swinging ceiling chairs, with the laid back vibes of California, Morocco and Bali. WAVE gyms, sporting activities, health & beauty and fitness. The best pubs near London WAVE. WAVE clubs, bars, cabaret nights, casinos and interesting nightlife. Where to have your meeting, conference, exhibition, private dining or training course near WAVE. From cheap budget places to stay to luxury 5 star hotels see our special offers for WAVE hotels, including Town Hall Hotel & Apartments from 77% off.